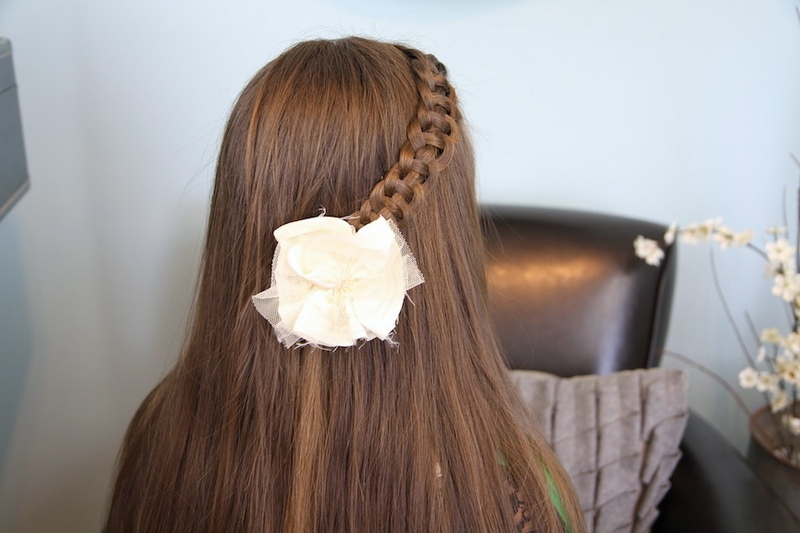 Lately my girls and I have fallen in love with pullbacks, specifically anything that easily pulls hair to the side, or from both sides. 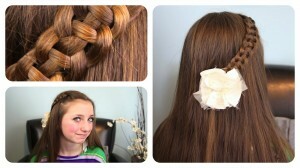 We think these looks are so subtle and effortless, yet still put forth a polished and super-cute look! 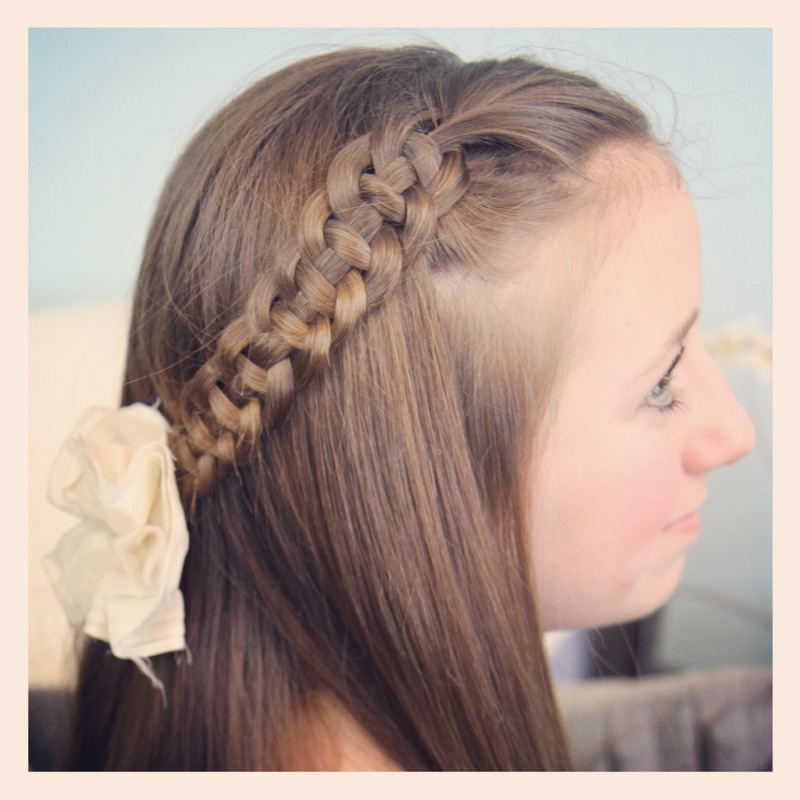 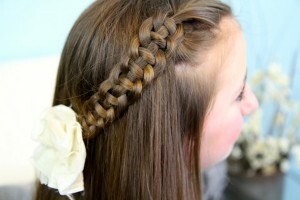 One of my newest favorites is this 4-Strand Slide-Up Braid! Although it may seem tricky at first, once you get the hang of it… you will find this braid to be a quick style that garners a lot of attention! 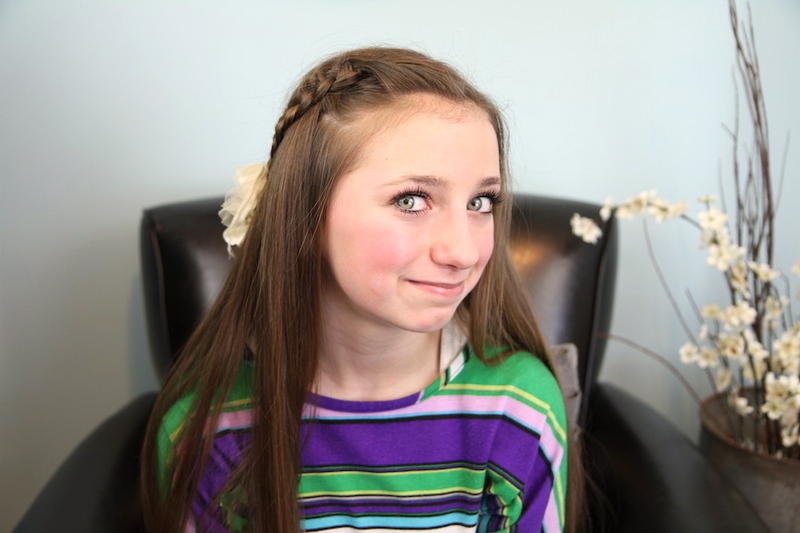 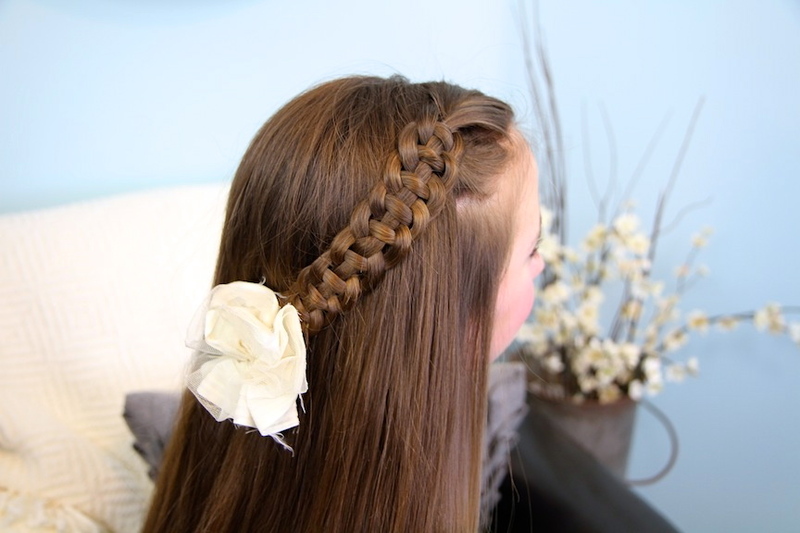 We first posted the 3-Strand Slide-Up Braid on YouTube in December 2009 and it has nearly 6,000,000 views today! 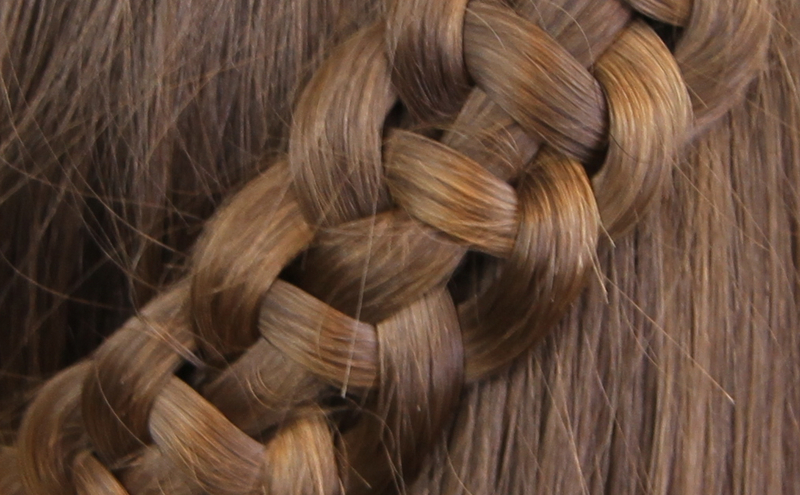 If you can do a three-strand braid that easily, you must be able to do a five-strand braid! Now, pinch Strands #1, 3, and 4 with your right hand and hold Strand #2 in your left hand by itself. 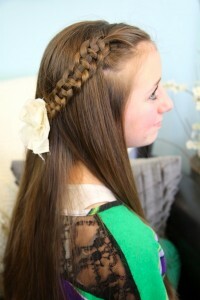 Add an accessory as an accent. 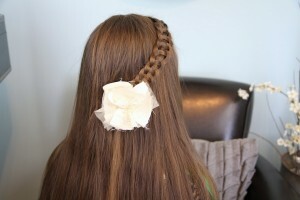 You may choose to do a single pullback, or create another one on the other side of the head and tie them back together. 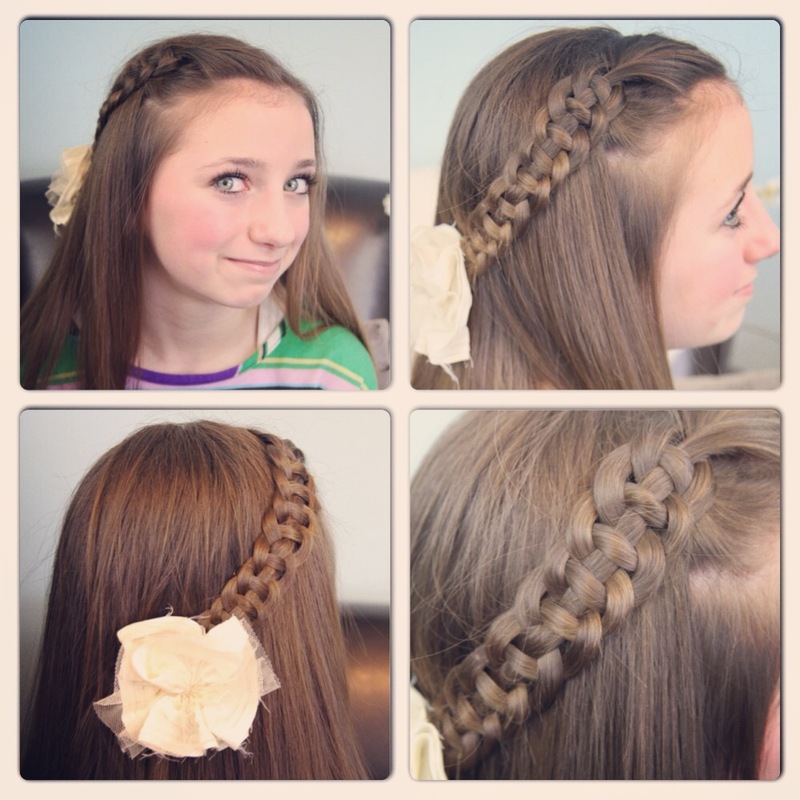 If you loved this hairstyle, please feel free to share!